Community members are invited to head to Work In Progress on September 17, 2014 from 4:00pm – 5:00pm for ROCeteer Workshop: An Introduction Into Consciouspreneur Fitness With 222 Evolve. Consciouspreneur and founder of The Fit Labs, The Reset Project and 222 Evolve James M. Wong presents a workshop on what makes up the 10 week Consciouspreneur Fitness program. The mission of 222 Evolve is to assist those interested in living a conscious lifestyle. 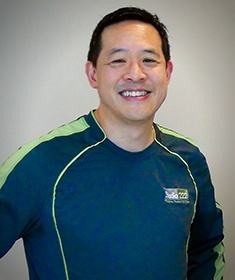 James Wong has been a personal trainer for over 10 years and has always believed that everyone, no matter age or background, is an athlete. Just as elite athletes train for their sport every single day, eat for their sport and follow recovery protocol for their sport, he believe being an entrepreneur is a sport and those who play should train. “When I met the ROCeteer leaders we both agreed that there is a bigger audience in downtown Las Vegas that would benefit from the philosophy of Consciouspreneur Fitness,” he added. The September 17, 2014 event is open to everyone, especially those who feel stuck on a hamster wheel, consistently tired, experience chronic pain, health and happiness are important to you, or you’d like to sleep better. “Downtown Vegas entrepreneurs are the main reason ROCeteer is hosting this but there is something for everyone,” James Wong said.